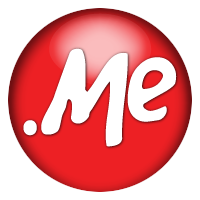 Domain to share information with the world. The domain name .info is a gTLD in the Domain Name System of the internet. It is derived from information, thus being able to clearly mark the information age. The .info domain is universally available, user-friendly, and recognizable, therefore becoming a best choice to replace .com domain. It is especially favored by people creating informational websites and for people searching for information online. .info in some point is on behalf of the same meaning of information. And information, from today's perpective, is wealth itself. All these contribute to .info domain being the first option for information industry. If your business is related to shareing information, research or product specifications, .info would be the best of the best choice. The best part of the .info domain should be the universal availability, ease-of-use, and high recognition, making it a good replacement with .com. Anybody can register a .info domain, including businesses, organizations, as well as individuals.